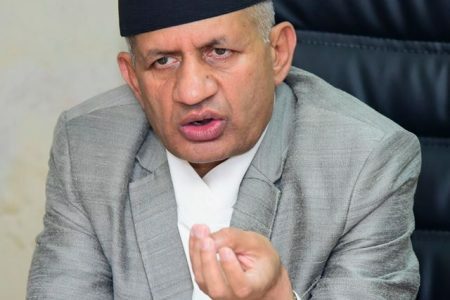 By GP Acharya (KATHMANDU, 23 March 2019) – As the government is organizing ‘Nepal Investment Summit’ on March 29-30 in Kathmandu, the summit is expected to bring together prominent national and international investors, policy-makers, sector specific experts, speakers, dignitaries, movers and shakers of world economy and high level representatives of the governments. The main objective of the summit is to project Nepal as a favorable investment destination by unveiling potential opportunities for investment in various sectors such as Energy, Tourism, Industry, Infrastructure, Transport, Information and Communication Technology (ICT), Agriculture among others. Further, the summit is expected to provide a platform for global investors to deepen their understanding of the investment environment and opportunities. Nepal has acquired political stability and having a strapping majority government now. These political values and the cohesive domestic political ideas have made MNCs or TNCs to consider this land for potential “location benchmarking”. This is because of the reasonable Policy Framework for FDI (political stability, investment policy, laws and regulations etc), cost effective Economic Determinants (local and regional market opportunities, cost of labor, land and energy etc. ), and conducive Business Facilitation (investment promotion, environment, incentives and partnerships etc.) that Nepal has projected. At this juncture of political and economic fidelity, Nepal has been meticulously successful to influence the neighboring economies by better allowing for more collaboration. Nepal has tremendous platforms with highly potential sectors to invest in- tourism, mines and minerals, herbs and natural resources, water and green technology, ICT, transport, health and education. Medical and spiritual tourism have high potentials due to weather, environment and geo-location. And, technology is key instruments which can help attain economic and security success where technology can create millions of jobs, spawn entire new industry and boost the export potential. And, there are no significant global companies in Nepal right now, so whoever enters will certainly win and rise. The existing geo-location, India-China proximity as well as enthusiastically urbanizing population in Nepal, is one of the best locations for economic affluence due to topography, weather, environment, geo-cultural reality, geo-integrity, geo-diversity and soft potentials. Since, Nepal’s geo-strategic clout is revolving mostly between India-China competition in Nepal, and they have been swinging their priorities from political to economic, Nepal has to prioritize its foreign policy agendas based on its economic preferences and aim to gear up the economic momentum. Nepal has to tap the potential trade and tourism market by anticipating where foreign traders and entrepreneurs may want to invest. 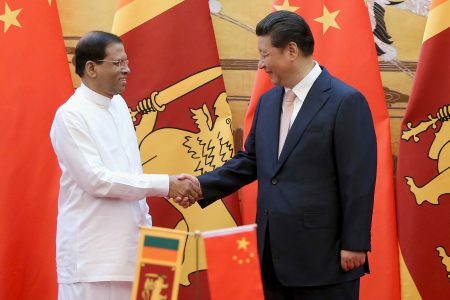 Because of the inculturation of Buddhism in China, Nepal has to leverage soft power in bilateral relations with China through Buddhism; Buddhism can be a binding strand between Nepal and China as well as Sri-Lanka, Thailand, Japan, Cambodia and other Buddhism follower nations. In addition, Nepal has to cultivate influence throughout the world through cultural diplomacy by exploiting its soft powers, the unique identity in the World- the Mount Everest, the Buddha and Lumbini, the Pashupatinath, the Kumaris (the living Goddess) as well as arts, culture, cultural norms and diversity, heritages, social values, hospitality, water and natural resources, weather, environment, demography, the topography ranging from the plains of the Terai to naturally landscaped Mountain to the panoramic Himalayan range, the Gurkhas and the legacy of the eastern culture as well as nature of the soil and the existing geo-location. Nepal can bring unprecedented change in its economy and development by marching ahead aggressively and addressing the security concern of the investing economies. For this, the investment summit needs to examine ides for deeper partnerships between business conglomerates and the government. The government has to make commitment to a market economy, where obstacles to private investment need to be removed, and has to make major structural economic reforms. To achieve healthy economic growth, a dynamic approach to economic reform is a must now. Even small changes can make significant differences and that could be a shift for business friendly policy. Constructive policies have to be carefully formulated and implemented with authority and urgency. The government further has to point out better regulations for network industries- energy, water, tourism, technology and connectivity. It has to adjust its policies, rules and regulations and make it in line with international practices such that the investment could be favorable, friendly and facilitative. The government has to set coherent and strategic plan for promoting soft power and resources. For this, concerned administration has to offer sophisticated packages which combine promotion of Nepalese culture with massive economic incentives to advance its interest. Economic prosperity can bring development and stability in Nepal. And, Nepal’s development and stability can leave profound impact in international affairs, basically the development and rising clout of the neighboring economies. To move ahead, Nepal needs to ensure economic growth and make itself striking for investment. For this, the incumbent administration has to adopt T’s Policy- the policy of Tech, Trade, Tourism, Tax, Tariff, Track, Target, Tone, Tact and Trust. To promote the trade and trust, taxes and tariffs have to be reciprocal and the deal has to be made on mutual help, for which Nepal has to project an honest tone- politically, diplomatically and economically to respect investor’s core and genuine interests. PM Oli’s participation in World Economic Forum, Davos, has been a new beginning for Nepal to enhance its co-existence in global economy, trade and diplomacy. Realizing the changing dynamics of world politics, diplomacy and globalization; Nepal has to make a strategic shift in integrating its economy with the global economy. Culture, tourism, natural resources and technology can be the key instruments for Nepal which can help attain economic and security success in the long run. Nepal being very rich in culture, traditions, heritages and natural resources; it has to insist on ‘Liberal International Culture Based Trade’ to reshape the architecture of trade under Globalization 4.0. Nepal has to best exploit the imminent Investment Summit forum to enhance connectivity, trade and investment, energy sharing, technology transfer, resource sharing, knowledge transfer, tourism and cultural connection with the global world. Nepal needs to rejuvenate its historic trade relations it had maintained with British, Chinese-Tibetans, European, American and Japanese government in the past. Nepal had maintained good trade and diplomatic relations with British and Tibetans in the eighteenth century even before the concept of globalization and the advancement in ICT and transportation. Since, Nepal’s geo-strategic position has been steadily transformed from ‘safe zone’ to ‘buffer zone’ to ‘battle zone’ to ‘competition zone’ to ‘clout of attraction’ in the region, today. To maintain this rising geo-strategic significance in Foreign Policy, Nepal has to be nimble in its Diplomacy and play very safe and smart- politically, diplomatically and economically. Then again, Nepal has to strengthen its resources- both physical and human to collaborate and co-ordinate with immediate neighbors as well as rest of the world. The diplomatic handiness and competence of Nepalese Diplomats need to be enhanced such that their diplomatic roles could influence the investing economies and heighten the image and stature of the nation. Diplomats, as an investment promoter, have to play a role in policy advocacy, delivering promotion messages and channeling the views of potential investors so that necessary reforms can be considered. Yet, Nepal needs to project a stately Economic Diplomacy and develop a comprehensive Diplomatic Intelligence Culture to achieve the National Interest.